Art & Architecture – Why Do We Collaborate? Posted on August 12th, 2016 by Lorna Parsons and filed under Art, BPN News, Events. Working with artists is high on our agenda. 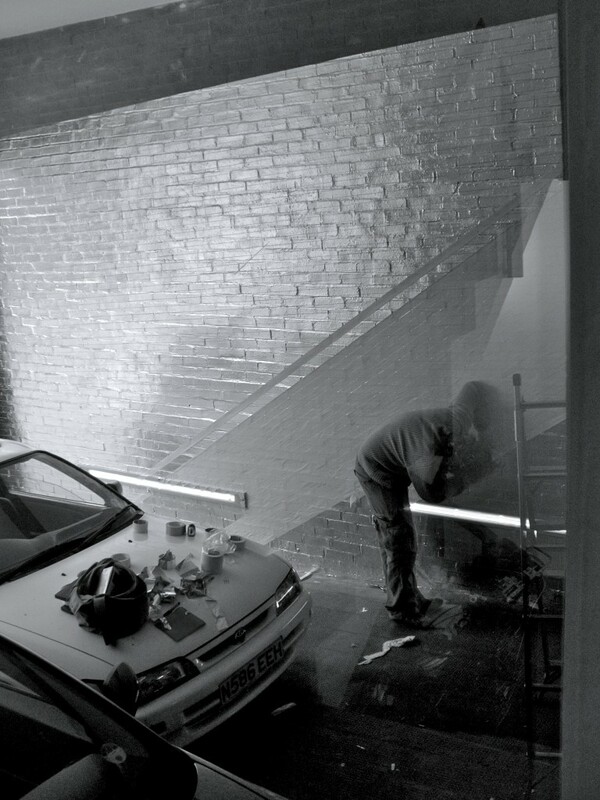 But why do we like doing it, and how do artists help us to make better places? 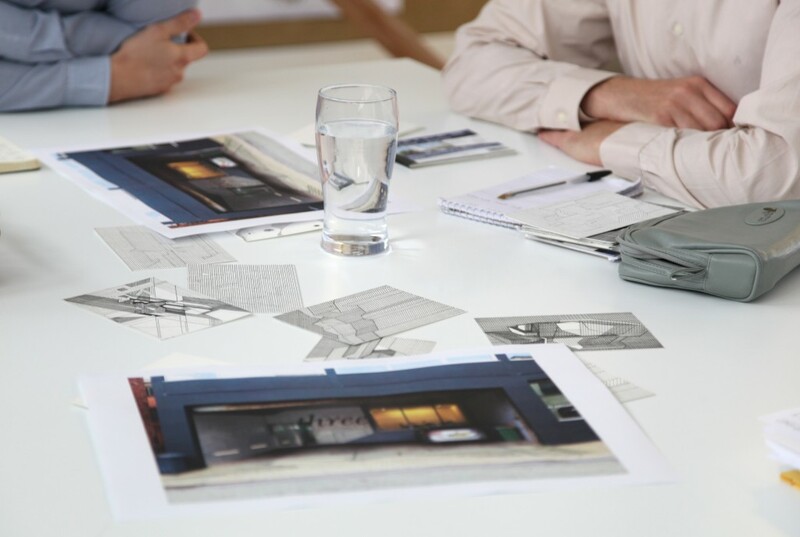 Since BPN Architects was founded in 1996, an overriding theme behind our approach to design has been collaboration. Our approach is friendly and people-led: we work alongside clients, end-users, artists, local authorities and other consultants to create better places. 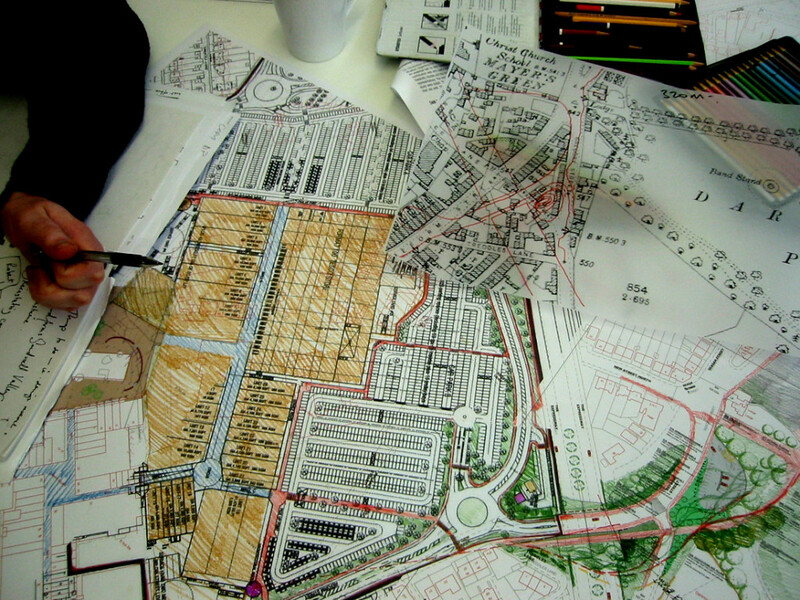 Working with David Patten on Electric Wharf, a mixed use canal-side development in central Coventry, meant pooling knowledge based on the age-value of the place and developing crucial ‘design guidance’. David also contributed ideas of how inherent content and cultural value could be revealed and expressed within the overall design of Golden Square in Birmingham’s Jewellery Quarter. He produced an astonishing amount of research into the history of Dartmouth Park which fed into our designs for the new park pavilion there. At the end of 2015, we launched an appeal to find artists interested in working with us. We want to develop our knowledge of collaborative working relationships even further, to develop artists’ understanding of place identity and working with design professionals, as they interrogate our ideas and educate us in working from an alternative agenda. We want to continue to investigate new ways to reveal a sense of place and enable others to participate. But we also know that current collaborative processes aren’t perfect. Many artists or indeed architects, haven’t had a truly collaborative experience. We believe this praxis needs to be expanded, improved, diversified and have a legacy. Our exhibition in September provides local artists with an opportunity to exhibit their work, but with the addition of consequently developing new skills and knowledge about our design process. We see this as creative development for all parties. Through our exhibition, we hope to form new alliances for the future; create a hub of activity that challenges dominant art and architecture discourses; create new opportunities; showcase a working approach to built environment professionals visiting us; and encourage public participation. We aim to move past notions of gallery-based and public art and develop ideas on the art of making a place a public destination, so that artists can make the step toward being more senior partners in place-shaping and redevelopment. A Month Of Art at BPN Architects begins on 5th September and will be open to the public. Copyright © 2012 BPN Architects. Website by Substrakt.